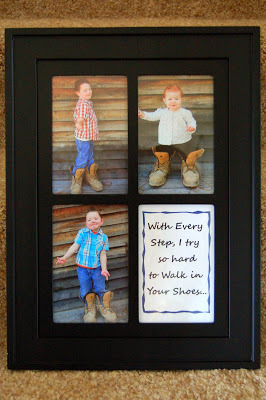 Last year I made this gift for my hubby for Father’s Day where I took pictures of my kids in Daddy’s work boots and put them in a frame with the quote “With Every Step, I try to hard to Walk in your Shoes.” You can see my blog post HERE about it. 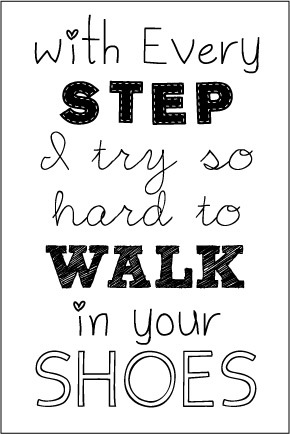 A very sweet lady left me a comment this morning asking if I had a printable for the quote. To be completely honest, I made the little quote when I was a newbie to blogging and ﻿had no idea about all the fun, free fonts that were out there, so it wasn’t that great. 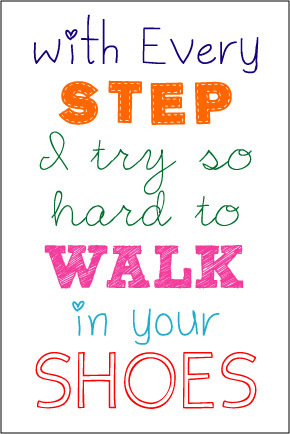 I went ahead and made a new printable with more pizazz for anyone if they are interested. I made one in black & white and color and sizes 4×6 or 5×7. Just click on the link below to which one you want and it will take you to Google Docs to download. Make sure when you go to print the Page Scaling option is set at “None” instead of “Fit to Printable Area”. So adorable! Definitely on my must-do list! Oh Rachael…this is so fantastic!! 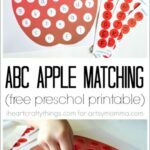 I LOVE this idea, thank you so much for sharing it and for the wonderful printable!! Thanks so much for sharing. I love the printable and it printed just fine. My twin granddaughters love to walk in Momma's shoes, so hopefully we can capture some pics to go along with this quote. i love this! so precious. I love this idea! I can't wait to use it in later years with my own little one! 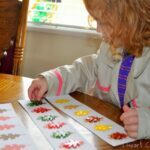 I featured this sweet idea on my blog with other favorite DIY Father's Day ideas. Thanks! I absolutely LOVE this idea! We are going to take our boot pics today. I tried printing the 4×6 color version, but it is printing in 8×10 size. Help! Love it! You were featured in our Father's Day Round-up today! Thankyou so much for the gorgeous printable … It just made my husband's father's day combined with a photo of our shoe-obsessed toddler. 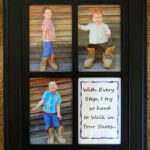 So many ways to customize this to any family! We might do it with the boys sitting and wearing my husbands hockey skates.